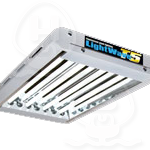 LightWave T5 lighting has proved to be a revelation for plant production. Now there is truly a fluorescent alternative for all stages of plant growth. The economical choice in T5 lighting. Ideal size to fit into a small space. A light for small propagation areas. This model is well known - a very popular light for propagation. This model is the largest in the range and can cover about 2/3rd of a sq metre of propagation activity. The perfect colour temperature for plants – just watch the response. 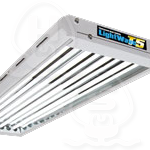 (CFL) Are high powered Compact fluorescent grow lamps that can be used as either your primary grow light or as a supplementary grow light. 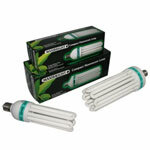 CFL's are available in both blue and red spectrums for use in the propagation, vegative and flowering stages. 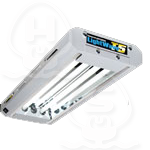 They are not as productive as HPS (high intensity lights) but are cheaper to purchase and run. 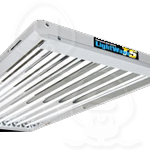 Compact Fluorescent lamps are self ballasting lamps therefore No seperate ballast is required for these lights. Clonex product details: Clonex is the ultimate rooting hormone that is used the world over in both commercial and hobby growing and by beginners and experts alike. Clonex seals the cut plant tissue instantly, preventing infection Contains a complete nutrient profile and trace elements to nourish new plants and roots. 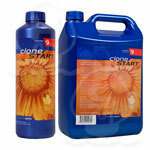 Clonex contains rooting hormone at the full strength required for successful root development. 45.5" x 25" x 10.5"
30" x 16" x 10.5"
23" x 19" x 12"
X-stream Aeroponic Propagators are the fastest way to raise healthy transplants. Ideal for cuttings, but also great for seeds. Our X-stream aeroponic propagators create an unbeatable environment for root development resulting in faster and stronger root growth, so your plants are ready for transplanting sooner than ever. We have an X-stream propagator for every grower, from our compact 12 site right up to the incredible X-stream 105 site for large-scale propagation. The Grodan Propagation kit comes complete with a medium sized propagator, a 24 cell tray, filled with 24 Grodan SBS 36 plugs, a germination lid for seeds, a scalpel and a book on how to take cuttings or grow from seed.